There are many reasons to own a miracast device. Whether you want to look at the vacation pictures, you took on your phone on a big screen with your family, or whether you just want to put on something in Netflix and laze around, a miracast device can help you. A miracast device is the perfect solution for those who think wires stringing around a room is very undesirable, and instead like mess-free homes. Thankfully, there are a variety of miracast devices in the market today, giving an average customer ample amount of choice to pick according to his/her requirements. This adapter is one of the best miracast dongles, providing a 1080p resolution while sharing content across screens, giving you vibrant picture quality, and a smooth and lag-free viewing experience. Using this adapter, you can share content such as pictures, movies, TV shows, games, and even applications from one device to another. Using it is also super easy because all you have to do is connect the adapter to the HDMI port in your TV. It supports HDMI 2.0 technology, i.e., the bandwidth can be increased 10.2 Gbps to 18 Gbps, thereby allowing you to watch even heavy content without any lags. It is also UltraHD and 4K compatible, so you can plug it into any TV you have, and it will share your desired content in high quality. In case your content has a lot of audio, it can increase from 8 audio channels to 32 audio channels when required, so you can have an immersive experience while watching your content. All these features will be provided along with dynamic synchronization of video and audio, thereby eliminating lag between video and audio. However, it is not compatible with all devices, for example- Nexus 7, Nexus 10, Samsung Note 2, HTC One. 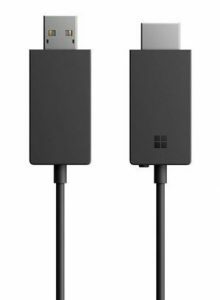 Microsoft makes one of the best wireless display adapters, packing a lot of features in one package- sharing pictures, movies, and other content from any device on a big screen. Along with all this, it also gives you the feature to plug into a projector, thereby making meetings more comfortable as everyone can collaborate on an idea and implement it after proper discussion. Its unique design is something that has never been seen before in a wireless adapter. The USB and the HDMI parts of the cable are put in their respective ports to start screen mirroring. While traveling these ends can be put together to minimize any damage done to the adapter. You don’t need internet access to use this device, which is so much easier because now you don’t need a reliable wifi to sit back and watch your favorite moments! Although it is compatible with miracast enabled Windows 8.1 and 10 devices, this adapter is not compatible with Surface RT. 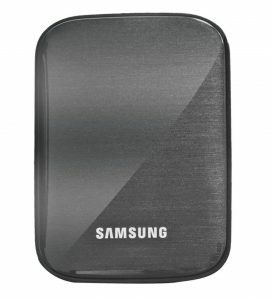 Samsung brings one of the most compact adapters to the market, making this product one of the best screen mirroring devices. This WiFi display receiver can work with any device that is capable of using WiFi. The device has a WiFi in port, and an HDMI out port. 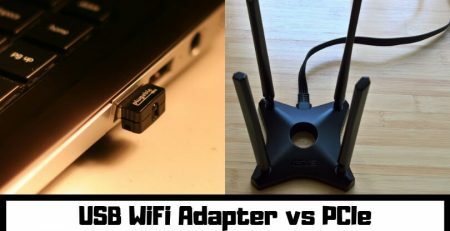 This adapter also comes with the WiFi All-Share Cast Hub, which makes it easier for you to connect with your phone so that you can perform actions from your phone and it will be reflected on the HDTV. Enjoy your private moments in full HD with this adapter. You can also catch up with your favorite TV shows using this wire-free and simple device. Make presentations on your phone and connect it to through this adapter to a projector to present anytime, anywhere. Make meetings more modernized and portable with this simple adapter. You can also listen to music using this device! Go wireless and use this adapter to listen to music stored in your phone on your TV. Now dance to your favorite tunes anytime. 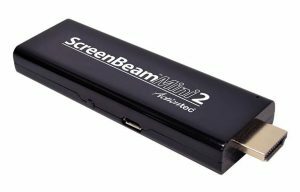 With ScreenBeam Mini2 you can share all local and almost all online content from your mobile device to an HDTV screen, including browsing on the internet. 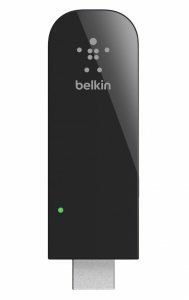 It uses dual-band 2.4 GHz and 5GHz with an internal antenna of 2 x 2, giving you perfect picture and sound quality, exactly like you would get when using an HDMI cable. Its dual-band technology keeps you clear of WiFi congestion and RF interference, giving you smoother and faster video streaming. This technology also makes the adapter compatible with all the 5 GHz devices that are so popular in the market at present. Another advantage of this adapter is that it can also work with an NVIDIA SHIELD gaming console, which means all the Android/iOS games that you love can now be played on a better, bigger screen. It does not require WiFi because of the direct connection it creates between the source and the screen. iXunGo claims to be the best business presentation assistant you will need. And after our review, we believe them. As one of the best miracast dongles, it is compatible with a vast selection of devices, including Android, Windows, Mac, and iOS devices. Its design makes it super easy to take along when you travel, and the easy setup means you can go right to presenting without any struggle. This dongle comes with a 150 Mbps transmission speed. Yes, you saw it right! Speeds like these allow you to view any video/ play any game effortlessly. If your WiFi router and network are 5G, this dongle will operate at 5G speeds. Otherwise, it will switch to 2.4G. However, iXunGo cannot stream Netflix/Google/iTunes/BBC videos directly due to a DRM content protection design. So, we got the knowledge about the most sought and widely popular Miracast display adapters in the market today. But have you ever wondered how this technology functions? If yes, then read the information about the working of Miracast technology below. As you may know that the Miracast is a wireless standard that helps to mirror the screen of a smaller device like mobiles, tablets, etc. onto a bigger screen like a TV, monitor, projector, etc. If your input and output devices are compatible (most modern electronics mediums have this facility) to the Miracast standards, then you can enjoy the screen mirroring feature of it. For using the Miracast technology, first, you need to pair the devices. Open the settings on your smartphone and run the app on your TV. Enable the Miracast option (cast screen/mirror screen) on your device. After the successful pairing, you will be able to display the content of the smaller screen onto a bigger one. In the center of the Miracast technology, there is a wireless standard better known as ‘WiFi Direct’ protocol. 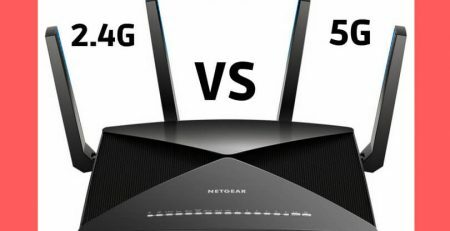 You will make a point-to-point wireless connection through the device compatibility. Unlike the device like Chromecast, the Miracast enabled adapter works as an HDMI wireless cable. Based on the WPA2 encryption, the Miracast supports 5.1 surround sound in audio and 1080P resolution for video. Such encryption protocol enables you to stream the content from Netflix or Blue-Ray videos without any fear of data theft. If you are in business, then you can use Miracast technology to give presentations, attend video conferences, group discussions, project designing, and many more things on to a bigger screen. Today, Miracast wireless technology is widely compatible across different devices and platforms. It is the most used screen mirroring protocol used by the users worldwide. After going through our top 5 choices for the best wireless display adapter for 2018, we are sure you have the perfect product you need to share content from different devices to an HDTV. Let 2018 be the year you share seamlessly from one device to another! Hey! I have read your blog. I like your post. Your blog is very interesting and informative. Thank you.